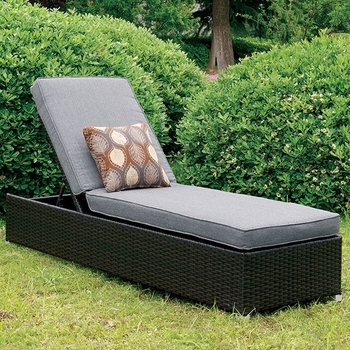 Enjoy a day in the sun with this spacious padded fabric chaise! Constructed of an internal aluminum frame wrapped in tones of brown wicker, this piece will spruce up any outdoor space! Available in 2 cushion colors.